Everything you need to know about Google's Pixel 2 event. But is it worth $999? Google's Pixel laptop is back! Sort of. 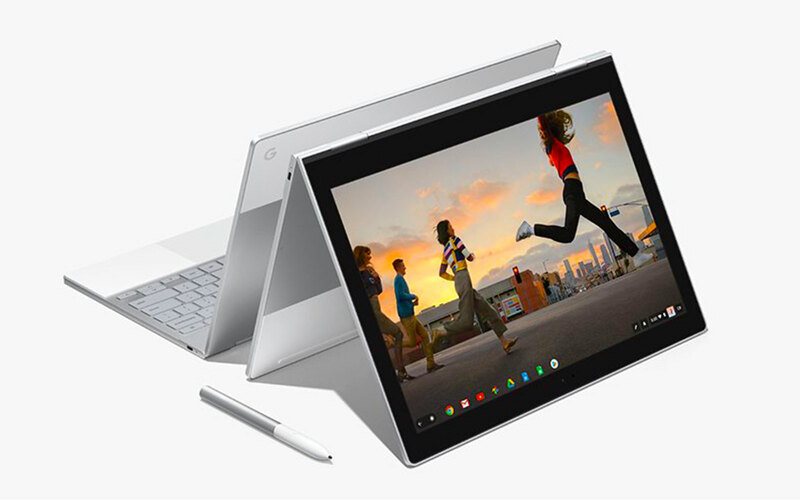 After retiring its older Pixel Chromebook this year, Google is jumping back into the premium notebook fray with the Pixelbook. (We'll leave it up to you to figure out how it came up with that name.) The big difference this time? It's a 2-in-1 machine, so it can be folded around and used like a tablet. The previous Pixels were just expensive and powerful touchscreen laptops. The Pixelbook is still pricey, though, starting at $999. While the idea of a premium Chromebook still doesn't make a lot of sense, the Pixelbook at least gives Google something to offer beyond the disappointing Pixel C. The company claims this is its thinnest laptop ever -- its 10-millimeter-thick frame seems reminiscent of Microsoft's slim Surface Laptop. It also weighs just 2.2 pounds, or 1 kilogram. The Pixelbook features a 12.3-inch QuadHD (1,440p) display, and it's powered by Intel Core i5 and i7 processors. You can also configure it with up to 512GB of storage and 16GB of RAM. As for new features, the Pixelbook can automatically tether with your Android phone when it doesn't detect a WiFi network. Google says it can get up to 10 hours of battery life (which is standard for most ultraportables today). It also charges over USB-C, just like the Pixel C, which lets it get two hours of battery life in just 15 minutes. Google Assistant is built into the laptop, and it's accessible with voice commands and typing. Like the latest Chromebook models, you can install Google Play Android apps on the Pixelbook. That makes it far more useful than the past Pixel laptops, which were mainly showpieces for ChromeOS. That means you can download apps like Spotify for offline listening -- and yes, you can also view downloaded Netflix shows when you're away from the internet. The new $99 Pixelbook Pen (sold separately) also lets you mark up the screen and get more information from Assistant. You could, for example, circle a photo with the Pen to learn more about it or highlight a word for a definition. The Pen features 2,000 levels of pressure sensitivity, and it can recognize angles up to 60 degrees. The base $999 Pixelbook comes with a Core i5 processor, 8GB of RAM and 128GB of storage. You can bump up to a 256GB SSD for $200 more. There's also an upcoming high-end model with a Core i7 chip, 16GB of RAM and a speed 512GB NVMe SSD. Pre-orders for the Pixelbook kick off today, and they'll start shipping out in three to four weeks. Follow all the latest news from Google's Pixel 2 event here!